Dru Yoga is Yoga with potent flowing movements and sequences, guided breathwork, and empowering visualisations. It has a unique heart/mind/body focus and uses yoga movements to shift blocked energy, balance emotions and transform the mind. Practicing yoga since her teens, her first teacher was a precious old monk who taught her that we are always students. She completed formal traditional Hatha Yoga training with the IYTA in 2007 and certified as a registered Dru Yoga Teacher in 2018. 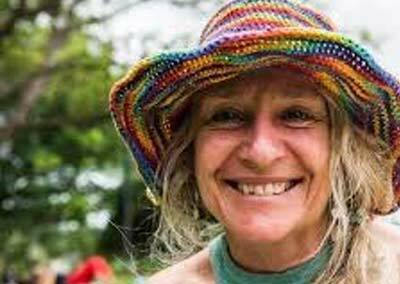 She teaches both young and old and in a variety of places from deep in the bush to Health Retreats, Schools and Evening Colleges. Her zest for life is apparent in her playful personality and light-hearted and fun element to her teaching.